What to Do When You Are Overwhelmed By Motherhood? Are you overwhelmed by motherhood? 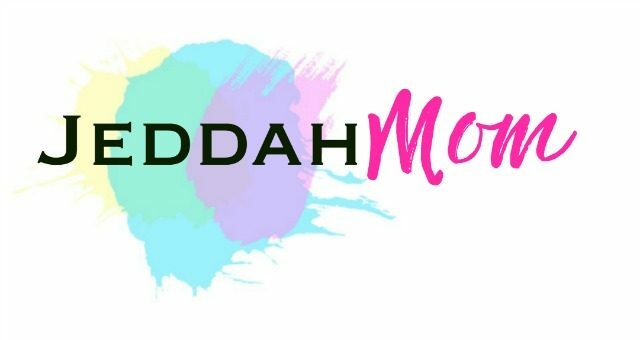 Have you heard about Safe Mode for Moms? It is a tool that I have used frequently over the past 10 years. It is my secret…This is how I overcome overwhelm when I am exhausted and beaten by being a stay at home mom all the time. I’ve been there too many times. If you are a mom to little children, I know you’ve been there too. Sometimes, I try to be funny about it. I remind myself that ‘this to shall pass‘ but you know… you can’t always be a sensible ‘I-have-it-together’ person. I feel like I am losing it too. I broke my glasses a few weeks ago. ‘Great!‘, I thought. I needed new ones anyway. Then… I washed one of my contact lens down the basin two days after. The spare glasses that I had, I sat on it. (Yes…laugh. It is funny.) I have another pair but I can’t remember where they are. I kept them quite safe and… well… I have ADD. Baby is crawling and trying to walk. Her favorite pass time is to find faults with mommy’s vacuuming skills. She picks up the rug, looks under it and then looks at me with a tiny bit of paper in her hand. If I see her, she runs in the opposite direction with it. If I don’t catch her, she puts it in her mouth and chews on it until I notice it. I think she just wants us to go on a vacation because I am not allowed to cook clean or work. We can only play or she will be in my arms all day. She dropped a plate on my foot the past week while I tried to wash her hand at the kitchen sink. (Yes, OUCH!) I am lucky we had no blood anywhere, in spite of the broken glass. Her elder brother wants nothing to do with homework since we returned from our vacation. The little-big sister suddenly decided she wanted to go to school. So now, we have a two year old who says she is potty trained and drinking from a cup and demands that she be sent to school. Our most chaotic time of the day is at 6am. Both the babies up and wailing… while I juggle breakfast and school. Can you relate? Have you had days like that? Tell me, what do you do when you are overwhelmed and pushed to your wit’s end? I go on Safe mode. What is Safe Mode, you ask? Safe mode, is to go back to the basics with things that need the least attention and memory. Exactly what you do with your computer, but only better… because there isn’t anyone to pull the wires again. I started using this trick when I was expecting my second child… and I have to tell you, after having four babies (all two years apart), I think this is the way to do it! There is really a Safe Mode for Moms! And it works..! So, today, I want you, my mommy friends, who are in the same boat as me to know that this is how you can feel refreshed, renewed and sane again. If you have ever been overwhelmed and felt totally defeated by being a mom… I am sure you know how it feels to have to juggle family, chores and your emotions all at the same time. For this reason, this is what I do. I just go back to the basics and then slowly… very slowly… make my way back until I have made sense of the chaos and worked out a solution. What matters to you the most? Name one thing. What is your number one priority right now? What can you walk away from? It is like a quick ‘mind dump’. You don’t really have to pull out a piece of paper if that isn’t your style, but really… it is just one word answer to each question. We are trying to give priority to our mental health first. Whatever it takes to survive, so… Take good care of yourself first because you will get grumpy if you are not happy. I have a very tiny Mum’s Wish list. I truly, only want those 10 things. Ok… so, I never get all of them ticked but… if I get at least three done then that is okay too. Almost always, I have noticed that when I am in my funk, I don’t eat properly. If you’re not well fed, it will take a toll on you,. My worst times, when I was lowest on energy, were when I was expecting or when I had a baby or a toddler. The teething stage, the sickness, the new baby and toddler juggling, the staycation because we couldn’t vacation… it would drive me nuts. And I was so busy running after my children or trying to keep everyone happy that I would hardly eat. You know… how it is right? ‘Just when you sat down, _______’ complete the sentence. So, my dear sister, ‘Eat when they eat. Sleep when they sleep’. You know… screen time isn’t bad for just kids. I have found that sometimes, in the middle of my Period cycle, I would go crazy if I get too much screen time. Ditto for when you there was a new baby or I was expecting. Those hormones… ughh… what should I tell you..? Go offline… or limit you internet if that isn’t possible. Take a break. Stop to breath. Really. As it is there is already so much stress… how much more can you want to handle? Whatsapp can wait. The world will not lose anything while you are getting some rest. Let your children cure you. Trust me, they have magic in them. Get down on the floor and play with your children. Because Children are Our Cup of Love. The first thing that comes to my mind when my kids start misbehaving is that something is disturbing them. In our case above, it was daddy’s absence that was making the kids anxious. When our children misbehave, I have found that the best way to find out and fix their behavior is to give them extra attention and some super quality one on one time. Play, tickle, run, take pictures, make memories. Wait… all that time isn’t for you to clean your house!! You know what happens when we moms get too much time…? We start doing the chores or take our hobbies ‘to the next level’!! This is not the time to declutter, organize or have major crafty projects around the home. Schedule the cleaning for a day when you can have someone look after the kids or you can get the kids out. When you do get them out, work with someone. Don’t do it alone. Hire help if you have to. This is Safe Mode, remember that. You are taking care of yourself. Have you read a funny story together recently? The reason I love safe mode so much, is because I get to enjoy some really fun time with my kids. We read stories, tickle, giggle, make gigantic messes… I just want to leave all the cares of the world and be myself again. We take silly pictures… we just go nuts. Safe mode is fun-tastic! Only… the house will be a mess and the chores will not be done. It is like living in a kid ruled world. But hey… it is okay! It is FUN. You need that FUN!! You need time for yourself. It is okay… give yourself the permission to be careless. Make memories with them. Go on Safe Mode. With your children always look for more reasons to hug, kiss, tickle, talk, joke, play, eat, read and do. They grow up so fast and you can never make enough memories. There was a time when I took photos and videos of every move my kids’ made. Then I got busy. Then I got sick. I strongly feel those two are related! Now that I think over the time I have not been taking pictures, it makes me feel like there is… memory loss. Did I play with them then? Was there not enough fun moments? Is this why my kids got anxious? I don’t remember what went wrong and how. When we record memories, we are making some ourselves. We are letting them be kids so that we can capture their kid moments. We are letting ourselves be kids too. We are allowing that worry, that care, that tension in our life go on ‘pause’ mode to enjoy ourselves with our kids. So… Take more pics and make more videos. Let time stop for a while. Nice Article Thank you for sharing such information.